The view from the summit is similar to that from an airplane. 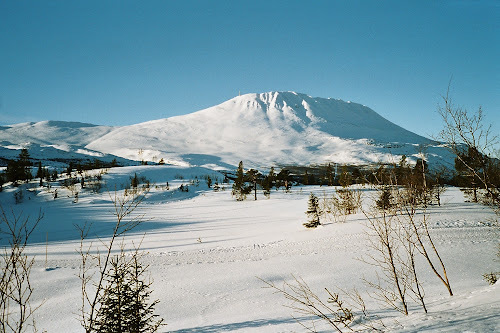 Gaustatoppen is much higher than its surroundings, and big parts of southern Norway is to be seen from here. I was so pleased by the summit and the downhill skiing, that I had to repeat it on the following day.